Any question about the Backing Tracks and playing BiaB live. 1. Yes. The backing tracks are created to use them live, no soloist but bass, drums and rhythm of a guitar. We do not want a track that sounds like a karaoke! Download one song of the home page and see for yourself. Note: $49 package (mp3 and lyrics) does not have the sgu files. Choose the $29, or, if you want everything ready with sgu, mp3 and lrc files (lyrics) choose the $69. Do the BiB SGU files have lyrics embedded? 1. Realize your base and save by getting a file in the .sgu format. 2. Export it as mp3. Browse the site for further information. The backing tracks sgu don’t have melody. Their purpose is to have an accompaniment to your main instrument. You can select the “notation” button from the menu to display the chords and other information on the screen (music score sheet). Hi Evan,I will give a try again adjusting effects. For me the difference was quite a lot – more rich digital BIAB sound vs low quality stereo recorded sound. Playing the song in real time and recording, allows you to make changes easily during the playback. I need your help. With help of your manual, I am able to convert sgu to mp3 file using audacity. I am using Mac laptop. However, the quality of converted mp3 sound is not same as BIAB generated sound. It’s degrading a lot. Is there a way to fix this issue. Play your BiaB song (SGU file). On Audacity: file, export audio, save as type MP3, 320 kbps quality. Make sure the levels are correct. You can adjust this with Effect, Normalize (-0.5 dB). There is always a small loss of quality compared to the original, as the mp3 file will naturally compressed, but in most cases this is acceptable. Otherwise, do not use mp3, but “WAV (microsoft) 32-bit float PCM” instead (if you do not mind the bigger size). 1. I write songs that modulate into different keys. Can BIAB do this by simply changing the chords for those measures? 2. I write song with varying tempos One goes from 4/4 to 3/4 and 6/8, back and forth. Can BIAB do this? 3. In the demos, the notation is great on the computer screen. Before I get into BIAB, my songs will already have been handwritten, but having notation I can edit on screen would be super. Can I save it out, add lyrics, and print it? 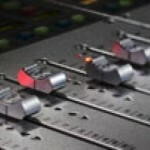 With Biab you do not have to hire studio of musicians to have your tracks recorded. You only need to be a a solo player (ex. Guitar solo player or other instrument) accompanied by singers, of course. 1. You can transpose songs with one click with no loss in quality (as midi). 3. And yes, you can print. scarichiamo – da vari siti internet – i brani musicali con files in formato midi che poi trasformiamo con Band in a Box in files MGX, quindi (una volta sistemate alcune piccole cose: tonalità, tempo, accordi, ecc.) li proiettiamo sui nostri computer e ci suoniamo sopra con i nostri strumenti leggendo sullo schermo la sequenza degli accordi ed il testo del brano (senza così avere la necessità di stampare gli accordi su carta) utilizzando quindi Band in a Box come se fosse un Karaoke. Ora vorremmo utilizzare anche la nostra tastiera Roland mod. EM20 (oppure un GEM VK2) per inviare dal nostro PC i brani musicali MGX alla tastiera stessa tramite gli accessi midi in e out (con un cavetto USB-MidiIN/MidiOUT) e quindi al mixer. Purtroppo non riusciamo ad attivare questo collegamento. Abbiamo fatto diversi tentativi andando su Opzioni-Configurazione Driver Midi ma senza alcun successo e dal mixer non esce il suono. Smanettando su Internet abbiamo visto che tu sei uno dei migliori conoscitori del programma Band in a Box quindi abbiamo deciso di scriverti per chiedere il tuo aiuto su come possiamo risolvere questo nostro piccolo problema. Hai qualche indicazione da darci? Nel caso specifico non sono in grado di aiutarvi, non avendo avuto la necessità di provare questo collegamento. Credo che il file mgx non venga riconosciuto dall’ingresso midi in quanto non è un semplice midi ma contiene altre informazioni. Io uso il sistema più pratico (almeno per me): riproduco la base creata con Biab (con solo le tracce desiderate, tonalità ecc.) e la registro su Audacity per ottenere un file mp3. Aggiungo lyrics ed accordi con Minilyrics, e quando suono live riproduco con un mp3 che abbia il video, oppure con un tablet o netbook (ottengo una riproduzione tipo karaoke). Soluzione economica ed affidabile. Buon lavoro, fatemi sapere gli sviluppi. Firstly, I would like to express my thanks to you for creating and sharing your BIAB Real Tracks 54 page tutorial. 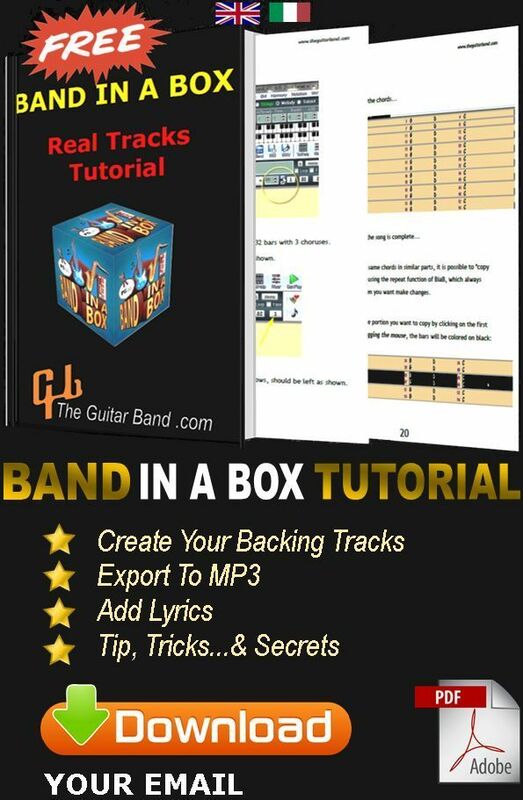 Truly a great help to anyone with band in a box. If you can make it look simple why can those guys at P G Music??? May I ask a question that you may have been asked before – Is it possible with BIAB to create a specific Bass track which plays in sync with the chord and drum tracks? For example If I wanted to create a backing track for songs which have very unique bass parts e.g. Crazy little thing called love (Queen) or My baby just cares for me (Nina Simone) – How can I do it using BIAB? I can read music so is there a way to enter the Bass lines via the Notation page or some other part of the BIAB programme? If you have done it before, and could share your experience it would really help me and save me from endless searching through the user manual. I think we are talking of real tracks. It’s not possible to create a specific bass track with Band in a Box as the instrument is already recorded by a real musician. BiaB is not a musical composer but an assembler of musical parts. I don’t know if there is a way to do so with midi functions, but I’ve never done it in this case. Maybe the midi editor will give you this possibility, but I don’t it’ll be easy. If someone else has a better response or solution, please comment. Are the real tracks you use part of any pack? It’s difficult to figure out where to obtain them. The Real tracks mainly refer to set 1 to 12. Other real tracks I got through exchanges with other musicians. Anyway you can use your tracks instead of mine, even though the sound will be different, but sometimes if it goes even better, why not. how can i pay as the paying site is in indian ? No problem, just click on the link and pay with PayPal in your currency. If you have problem, write to me (ggriscenko@gmail.com) and i’ll send you the files. You can pay directly to my email with PayPal. In this case Let me know. You can use PayPal even if you do not want to sign up for an account of your own. Click on the PayPal button to buy the files. Enter your personal information. Click the “Pay” button when you are done. Review the payment details displayed on the screen to make sure everything is correct. If you need to edit any of the information, click the “Change” button at the bottom of that section. When you are satisfied that your credit or debit card information is accurate, click the “Pay Now” button to finalize your payment. No Credit card? I’ll send you my bank number by email. I have tried some of your files and they sound terrific. -do you include an intro for 0, 2 or 4 bars? -is there an easy way to spot the A, B , C or Bridge sections? Again, what you present is superb. These sgu files are not completed music, but projects accessible through the BIAB program. It is likely that it won’t play efficiently as the real tracks have yet to be optimized, depending on the ones at your disposal, that can be different from mine. 1. The tracks are cared and completed with intro ed ending. They are not drafts but backing tracks optimized over time, of which I use live. 2. The sections of the songs are highlighted by colored squares BIAB. A chorus is usually green, for example. 3. You won’t need anything else, most of the work should already be completed. It takes little time to master the sgu tracks, and you’ll see that you’ll get from this an indispensable aid. Maybe you would take interest also in the mp3 BIAB collection. I just bought the 500 sgu single download and got my reciet from pay pal. You will see a substitute download link through your email address. Hi, I’ve seen several of your videos on Band in the Box. Do you have a video explaining how to make a blues back track. Where is set the speed and building a blues song? Hotel California – Eagles NOTA Se avete altri ROCK MUSICA E DI GENERE E CASE brasiliani possono INVIARE ME sarò molto grato. 1) Ho aggiunto il file .sgu che mi hai richiesto nella pagina https://www.theguitarband.com/sgu-files-2/. 2) Di solito mi occupo di musica Blues/Rock. Se realizzo qualcosa di latino-Sud America la carico. 3) QUI puoi trovare la lista completa con relativo download. L’intera collezione, oltre 600 sgu, è disponibile per il download per poco più di 20€. Thank you for your work. I have BIAB everything 2014 and I love how your zipped files open right up in the program. I have been upgrading BIAB over the past 5 years, and finally decided to do something with it. Your .sgu files are really helping. I will be trolling your website for any new .sgu files. Thank you so much!!! Would I be allowed to put my own lyrics and melodies to these tracks…not to earn money but to post on a songwriting site? Not directly with BIAB. After you export the song as mp3, for example, you have to use a different program like MiniLyrics or similar, to create the text to be played in sync with the backing track. I love your website and the backing tracks! But I haven’t managed to activate the function that is shown here, where the lyrics are illuminated when the proper place in the track is reached (I tried to install some stuff like MiniLyrics and Autolyrics, put it just shows the lyrics without the scroll function. Your help will be much appreciated, as I really want to enjoy your backing tracks by signing along! I guess I should prepare a mini-tutorial on the use of lyrics combined with a backing track. 1. Your backing track have to be in mp3 format. 4. Right click on the screen of the player and choose “editor”, copy and paste the lyrics here. 5. Play the song and click F7 every time you need the words to scroll. Easy, but perhaps not in a few words. I’ll prepare a video for it. in the meantime, a picture (https://www.theguitarband.com/play-live/) maybe can help. Thank you for the response and the advice. I’ve installed minilyrics and I used VLC to run it. Works wonderfully, and I’ve editd the LRC file using notepad to get the times right. Now I want to ask you how you captured the little video in Play-It-Live, as I would like to make some Youtube clips of the music with the words running, and I can’t think of how to make this video. When you play the mp3 with lyrics it is sufficient to use a program to capture your desktop. I use Camtasia, or a free one like Debut Video Capture. Many thanks these backing tracks are great, much appreciated! I really enjoy your web site. Keep up the good work! I just purchased Band-in-the-Box 2014, and was planning on making a backing track for Lonnie Mack’s “Memphis”. What style would you suggest that I use? I like the one you used for the Ventures version! Thanks! Congratulations on your new software. In my version I used “BossaRock Variations n.7” (Sidestick). In any case I couldn’t find the same style, but if it sounds good, ok.
Innanzitutto complimenti per il lavoro che scolgi con le backing tracks! Ti scrivo perchè ho notato che non ci sono più le basi italiane. Io purtroppo a causa di una formattazione ho perso le basi che avevo scaricato. C’è modo di scaricarle di nuovo da qualche parte? Ti volevo inoltre chiedere una cosa. Io sto producendo dei brani inediti e mi stò “appoggiando” a BIAB utilizzando qualche Realtracks e suonando io alcuni strumenti reali. Ci sono delle limitazioni per produrre brani inediti? Si possono usare tranquillamente?? Hai ragione, per problemi al vecchio sito sono costretto a rifarlo di sana pianta, e forse non è una cattiva idea :). Sto dunque ricaricando le basi, tra cui quelle italiane. Presto saranno nelle pagine di download. Per come mi sono documentato, i brani che tu realizzi, essendo inediti, li puoi usare tranquillamente. Infatti i diritti all’utilizzo delle real tracks vengono acquisiti automaticamente con BiaB. Le basi, una volta create, sono un prodotto originale dell’autore. Can I have the backing tract of Ventures Let’s go to practice on my guitar ? ?